Grow with data-driven decisions. You have the complete overview of your business performance. Choose the available drivers, track the process and optimise the delivery costs with DriverApp. Get the full profile of your customers, learn more about your loyal clients. Improve your business management with our tool in order to have faster and more effective delivery process. Our support team helps you with everything you need to know about the platform. We deliver training to your team how to operate with the delivery system. 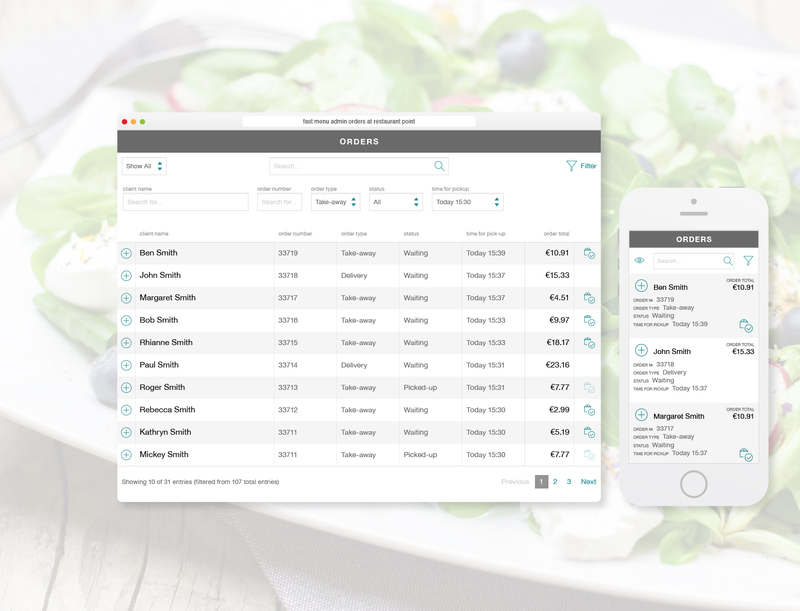 Easy Management of your menus – Еasy online publish of lunch menus with available quantities, catering menu, delivery and takeaway menu. Activate dishes on promotions, analytics about viewed dishes and the most ordered. Management of all orders for delivery, takeaway and pre-ordering with reservation coming from online, mobile or phone. Management orders for many locations and delivery process with automatic sending of order to the closest restaurant that can execute the order. Set up delivery zone around any location and working hours.